It was without a shade of doubt , that Justin Timberlake new album was going to top the Billboard album charts but no one could predict that it was going to sell almost a million copies in it's first week. After being away from the music circuit for almost six years, Justin Timberlake didn't need to search for his fans as his latest work topped the Billboard album charts by pushing a comfortable 980,622 copies in first week sales off the back of his successful single "Suit and Tie" featuring Hip Hop impresario, Jay-Z. 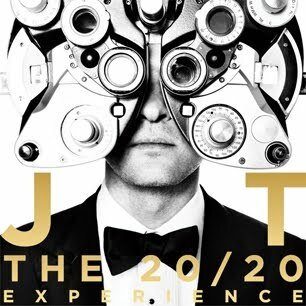 The 20/20 experience far exceeded the first week sales of his last album, FutureSex/LoveSounds by almost 300,000 copies, with FutureSex/LoveSounds going on to sell over 10 million copies eventually. Maybe the Timberland produced 20/20 experience might just go in to match or exceed the mark set by FutureSex/LoveSounds. In addition to his "Legends of the Summer" tour with Jay-Z which has ticket pricing topping $820 for platinum seats, I guess one can clearly say that this year can also be referred to as the Year of Mr. JT.